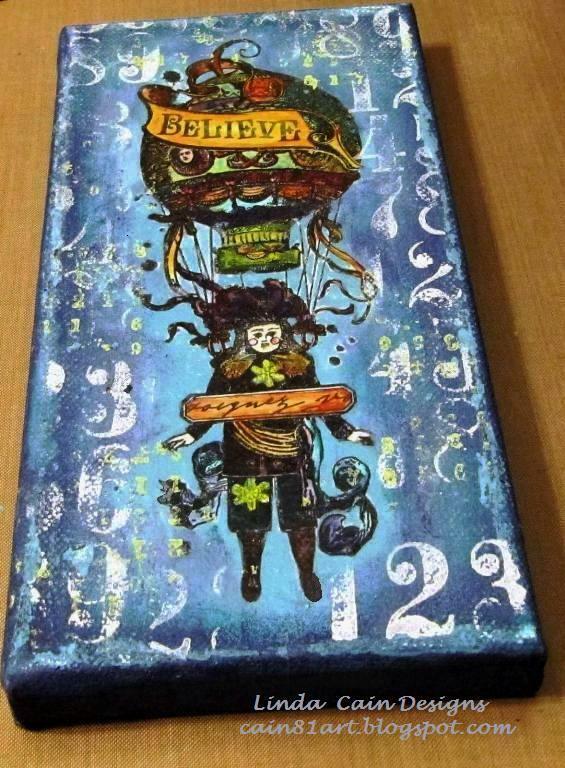 FRIENDS in ART: Day 3 at PaperArtsy Blog with a Canvas !!! Simply gorgeous and soooo much fun!!! Pity there is a shortage of the crackle tissue paper though!! The uncomplicated background is the perfect format for showcasing this very detailed stamp. You have just done an amazing job with this tag!! Kudos to you, Linda! This looks COMPLETELY amazing!! I'm behind on visiting, but I'm setting aside time in the next few days to do some proper catching up, and I can already see this will be a highlight!! Very interesting technique and your canvas turned out great. As soon as I have a little more time I plan to watch Leandra's video tute. Way cool! Off to get the deets! One very interesting image with a gorgeous background - I am just a beginner so I have a lot to learn!